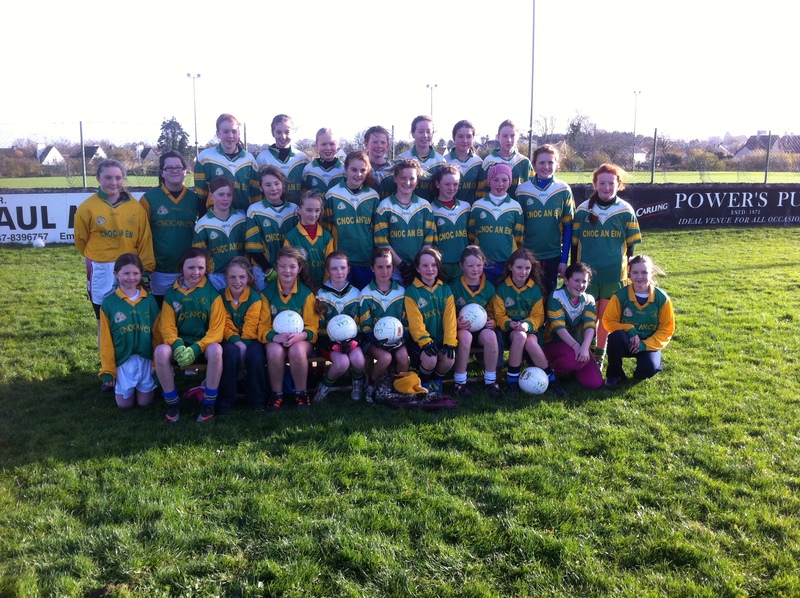 On the 20th of November, Knockanean girls played the Magpies in the final. Our captains were Maedhbh O Connor and Aishling Reidy. When we reached Clarecastle pitch, we got ready in the dressing rooms as Mr.Curran told us how lucky we were to be in the final. Everyone in Knockanean went to see this match and all of the supporters cheered us on as we ran onto the pitch. The game started at 12:15pm and in the first half Clarecastle was winning by a goal. In the second half, Aishling Hannon scored 3 cracking goals. Not long after, Aishling Reidy scored a brilliant goal and a point and Alannah Meaney scored a point. The Clarecastle team were falling behind. We couldn’t believe when the final whistle blew and we had won. All the team went up to the balcony and our old friend Mr.Mac presented our shield to our captains. Our captains made a great speech and everyone went home happy. So the shield was ours at KNOCKANEAN !!! In our final we played Ennis National in Division 1 A .Our captain was Fionn O Brien and he led us very well around the pitch and scored 1 point playing mid field .The score was 1-0 to 2-3. Knockanean were the ones celebrating and lifting the division 1A Trophy for the first time ever! This team will go down in history ! 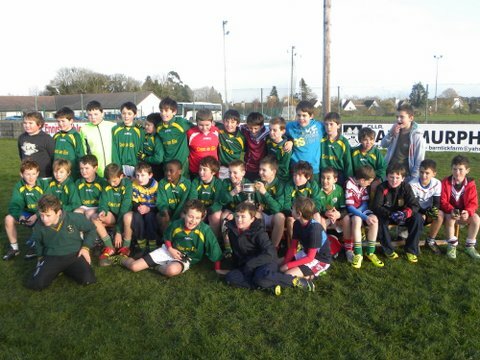 What a victory for Knockanean .Thanks to John, Donnchadh and Jim .Well done Knockanean.!!!!!!!!!!! !